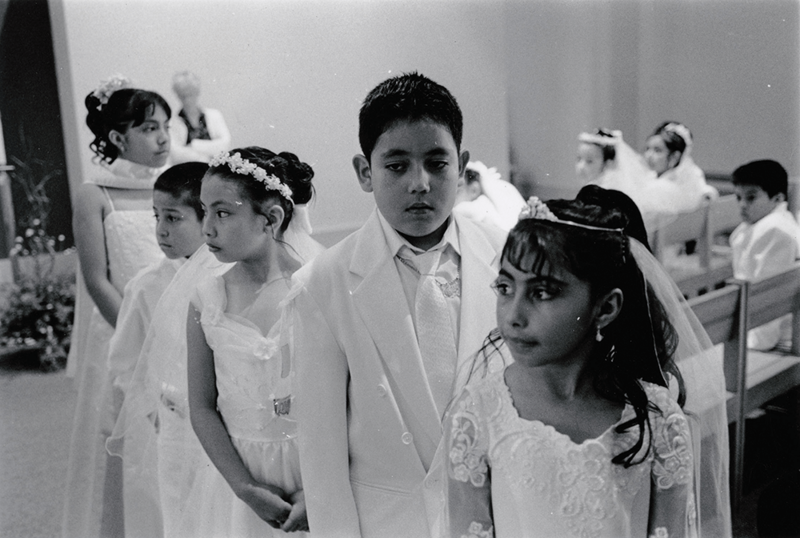 As the Latino population grows in North Carolina, a local Pulitzer Prize-winning photographer captures snapshots of an expanding culture. José Galvez walks into his photo exhibit at the North Carolina Museum of History, and the first thing he does is make sure all the frames on the wall are straight. 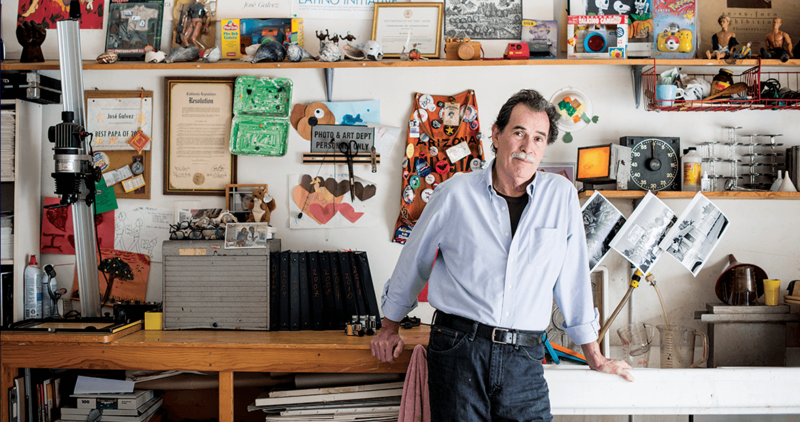 If that seems a little obsessive, it’s just because Galvez feels a great deal of personal responsibility for the subjects of “Al Norte al Norte: Latino Life in North Carolina,” his collection of black-and-white photos that has been years in the making. Galvez, a Pulitzer Prize-winning photojournalist, spent most of his life in Arizona before deciding in 2004 that it was time for a big change in his work. All his documentary photos up to that point had been shot in the Southwest and were heavily focused on Mexican-American life and culture. North Carolina presented him with a diverse and emerging Latino population, and he arrived at a time when the political climate around immigration was beginning to percolate. But Galvez stresses this is not a political exhibit. Nor is it about immigrants. It’s about the similarity in the lives of our state’s Latino population — some of whom have been here for decades — and everyone else’s. The photo that started the project — a girl sitting outside a store in Spring Hope in 2001, snapped when Galvez and his family were en route to an Outer Banks vacation. Fifty others taken since 2004 are on display. They are divided into four categories: family, faith, celebration, and work. Many of the photos come from Durham, where Galvez lives. He often goes with his son to Forest Hills Park and will run across a family cookout or rehearsal for a quinceañera (the traditional 15th-birthday celebration for Latino girls). As a documentarian, he’s not shy about inserting himself. “A lot of things I crash, my wife always accuses me, ‘Oh, you’re just looking for a free taco or something at these park barbecues,’” Galvez says with a laugh. The park is where many family shots originated, while photos in the faith section took Galvez to houses of worship in locales as disparate as Raleigh and tiny Turkey (population 262) in Sampson County. Celebration is a looser theme, and the images are wide-ranging. A quinceañera. Latino men playing pickup basketball near Duke. Spectators at a Mexican rodeo in Marshville watching an American Indian dance. The work section, which Galvez considers the most interesting, has similar variety. His photos capture Latinos in jobs across the state, from an engineer in Kitty Hawk to a small-business owner in Greenville to workers harvesting Christmas trees in Ashe County. Galvez makes a concerted effort to seek out some of his subjects, like farm workers hauling in a tobacco harvest. But he stumbles upon many others. When he drives, he likes to take back roads, and his camera bag is always with him. That’s why his wife suggested the part of the exhibit you can’t miss when you walk in — a photo replica of the dashboard in Galvez’s Ford Windstar, notes scattered around, a crucifix hanging from the rearview mirror. Looking through his eyes for a moment, it’s easy to imagine Galvez behind the wheel, searching out the next U-turn because a chance to document a slice of Latino life in North Carolina has caught his attention somewhere out the window. Markfield is a freelance writer who lives in Carrboro.